And now they are in America. Well, not quite. But apparently the chengguan have struck a sufficiently impressive character that members of one ethnic Chinese gang on a Michigan university campus have decided to adopt their name and methods for their own use. When Li Yan, a student at Michigan State University (MSU), got in a barfight with two alleged gang members last January, they knocked him and his girlfriend to the floor and beat him repeatedly with a water pitcher for several minutes, as reported by the Lansing State Journal. Li required eleven stitches for his head wounds. Imitating the urban enforcers of their homeland earned the thugs a swift trip to court. The trial of suspects Li Menglong, 24, and Gao Shan, 21, both MSU students, began nearly a full year after the incident, on Jan. 30. They face multiple charges of assault, according to the Journal. The two are alleged to be involved with a gang formed by Chinese students at MSU, according to Kimberly Hesse, Assistant Prosecutor of Ingham County, MI. “They use fear, intimidation and physical violence to gain notoriety among the Asian community on Michigan State’s campus,” Hesse said. The symbolism of the name “chengguan” was not lost on Hesse, who noted the Chinese urban enforcement bureau’s role in the opening statement of the trial. 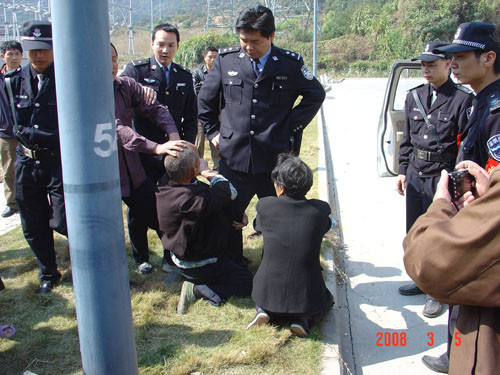 Chengguan are officially tasked with performing such duties as expelling illegal street vendors. They have been often reported by Chinese media and the general populace for legal misconduct and excessive, sometimes deadly, violence. The number of Chinese students attending MSU has exploded in recent years, with over 4,000 in fall 2013, according to the Journal. They made up 60 percent of the international student population. In the last couple decades, demographics of the Chinese student body have shifted from the meritorious to the wealthy. While Chinese students once studied abroad primarily on scholarships, an increasing proportion study at the expense of their families. The World Journal reported that the average Chinese student abroad spends $50,000 annually for their tuition and living expenses.